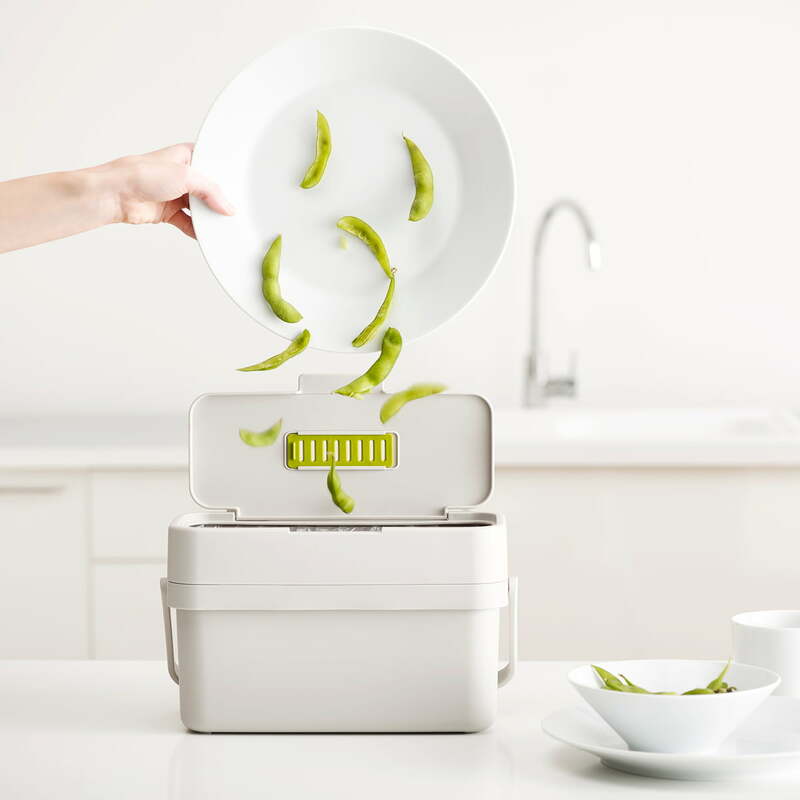 The Compo 4 organic waste bin from Joseph Joseph was specially developed for the disposal of food leftovers. 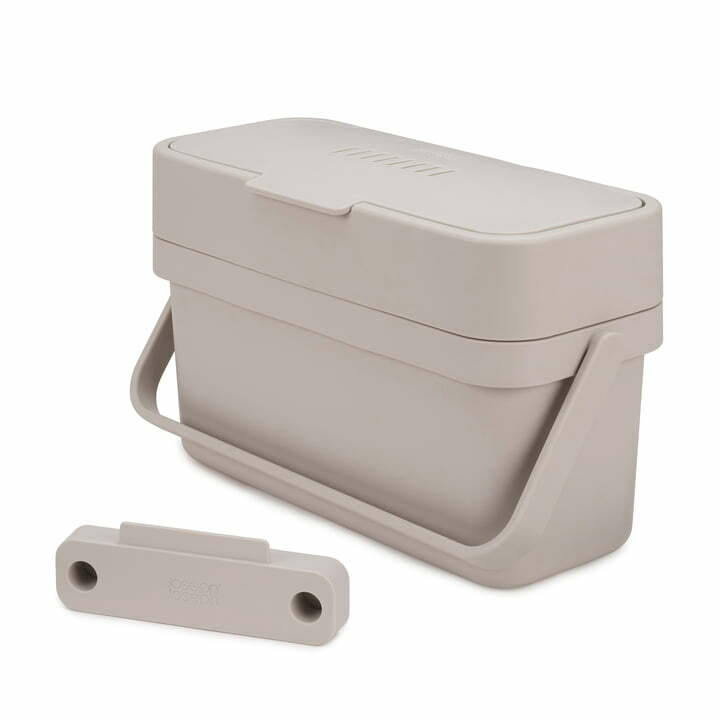 Its elongated shape, practical hinged lid and extra wide opening are ideal for catching food leftovers from plates. 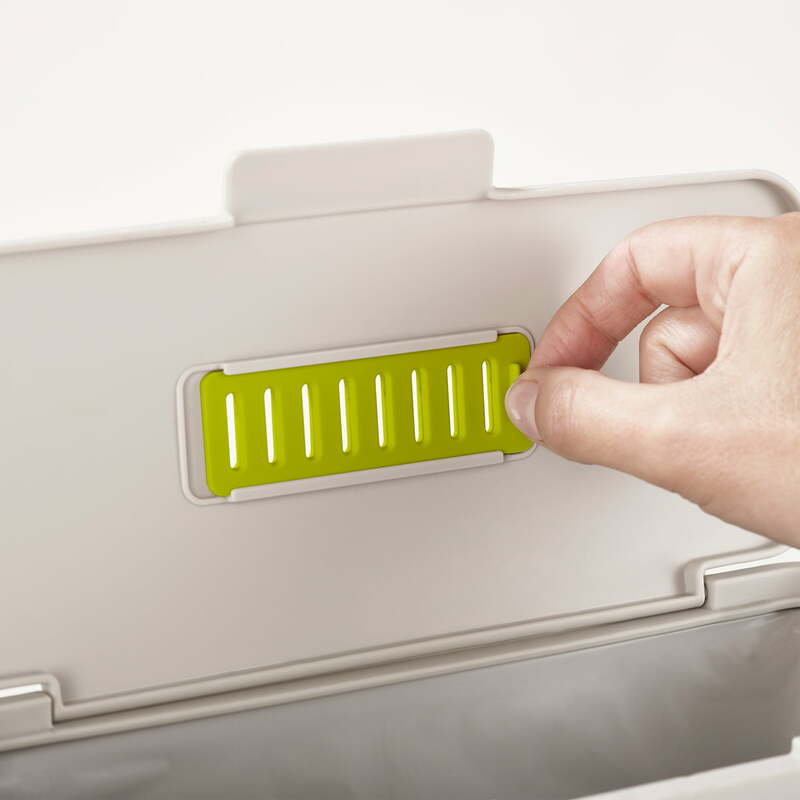 Thanks to its slim design, the waste bin with a capacity of 4 l can easily be placed on the worktop or in the kitchen cupboard. 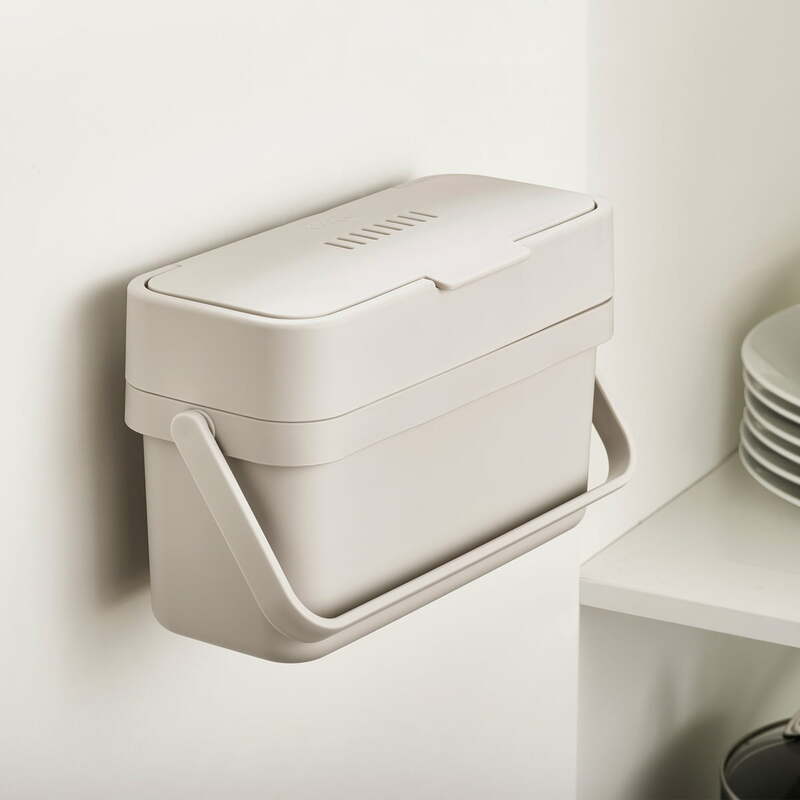 With a suspension included in the scope of delivery, the waste bin also finds a practical place on the wall or on the inside of the kitchen cupboard doors. With an adjustable ventilation flap in the lid you can let moisture escape and thus reduce odour formation. When closed, insects are kept away from the bin on warm days. Suitable for the Compo 4 organic waste bin are the IW2 compost bags 4 liters by Joseph Joseph . What happens to the bio-waste? He just gets dumped in Joseph Joseph's Compo 4 organic trash can. 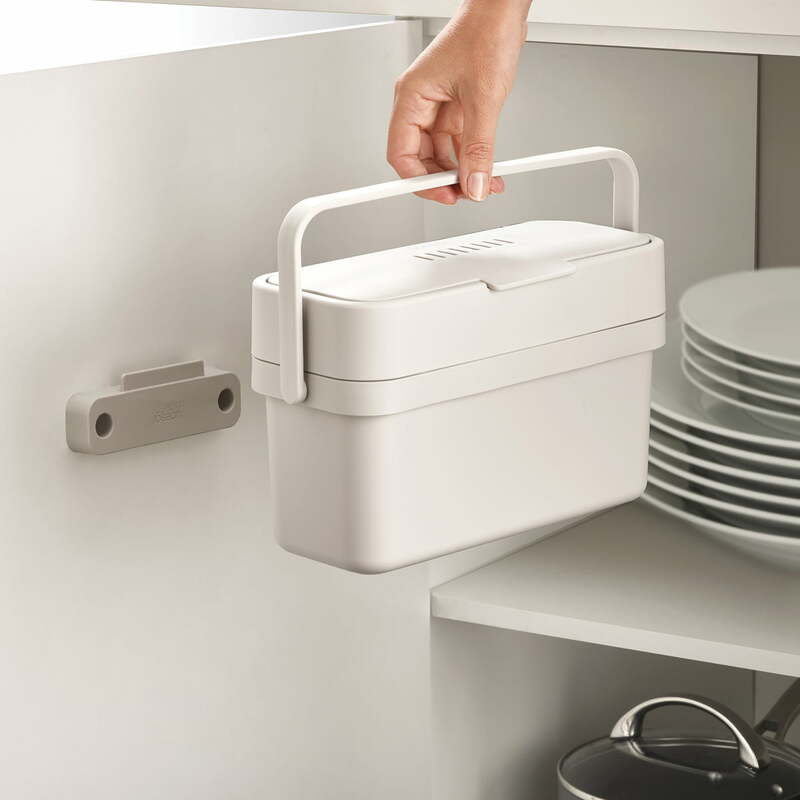 With a suspension included in the scope of delivery, the waste bin also finds a practical place on the wall or on the inside of the kitchen cupboard doors. The Compo 4 organic trash can including holder for hanging Joseph Joseph in grey. 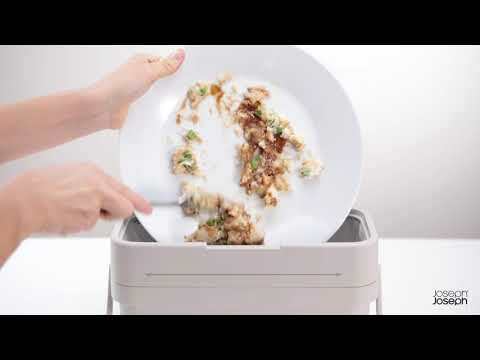 The waste bin was developed especially for the disposal of food leftovers. The elongated shape of Joseph Joseph Joseph's Compo 4 organic waste bin in grey, the practical hinged lid and the extra-wide opening are ideal for collecting food leftovers from plates. With an adjustable ventilation flap in the lid you can let moisture escape and thus reduce odour formation. When closed, insects are kept away from the bin on warm days.